Is it just me or is Paypal's fees outrageous? I know there is some kind of processing fee involved to transfer money and they need to pay a lot of employees. How much do they make per hour or even per minute from fees? It has to be a huge number. The standard rate is 2.9% + $.30 in country. And, 3.9% + $.30 out of country. Now this isn't too bad for a transaction of $50 or less, but transfer $100-$500 or more and it really takes a chunk out of what you end up receiving. $100 U.S. resident to U.S. resident. - $100 x 2.9% + $.30 = $3.20 Paypal fees. $100 Canada resident to U.S. resident. - $100 x 3.9% + $.30 = $4.20 Paypal fees. -$500 x 2.9% + $.30 = $14.80 Paypal fees. -$500 x 3.9% + $.30 = $19.80 Paypal fees. Does it really cost $14.80 to send $500 from one U.S. resident to another? And, $19.80 to or from Canada? That seems a little steep. Even more so if the person sending it already has the funds available in their Paypal account. If they were paying with a credit card, direct from their bank, echeck or something maybe it would cost a little more. The only alternative that I know of or to reduce the fee is to have a Paypal Premier or Business account. With either of these two types you can use mass pay. The sender then pays 2% or $1 maximum. If the same payments or transactions were made using Paypal mass pay the cost would have been only $1. So if you sent someone $100 it would cost a total of $101. For a $500 mass pay transaction it would cost a total of $501. The receiver gets the full amount and no fees this way. What you could do is tell someone you will send them $499 by mass pay which would be a total cost of $500. They get $499 with mass pay, otherwise sending the normal or traditional way they would end up with only $485.20 if they live in the same country, or $480.20 out of country. I'd be willing to bet they would take the $499 mass pay instead of $485.20. The drawbacks are Paypal does not offer any additional protection with mass pay method like they do with the regular transactions. So you don't want to send a bunch of money to someone you do not know or have never done business with. Also, it is not available for Paypal personal accounts. It might be handy for sending to friends, family, employees, or someone you know very well. Then, you just upload that in Paypal. receiver-email-address@somewhere.com is the paypal you will be sending to. The dollar amount you will be sending. -If you live in the U.S. then USD. If you live in England, then GBP. Paypal will tell you if anything is wrong before sending, and that enough funds are available to complete the transaction. It will give you a balance before and after, and ask you if you are sure and to confirm before sending. Mass pay really only takes a few moments to send, and it is instant just like the regular method. Most people probably won't take the time to use mass pay, or they don't want to be without the added protection that comes with regular pay. 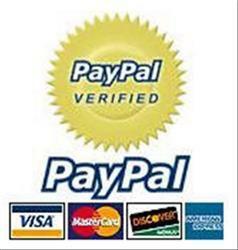 But, if you have use for this payment or transaction method it could potentially save a lot in Paypal fees. I don't know about you, but I hate giving Paypal anymore than I have to! Sending $25.00 or more would begin to save the receiver in transaction fees.